Our story begins in the summer of 1922 when the President was Warren G. Harding, the Vice President was Calvin Coolidge and the population of the United States was 110,049,000. 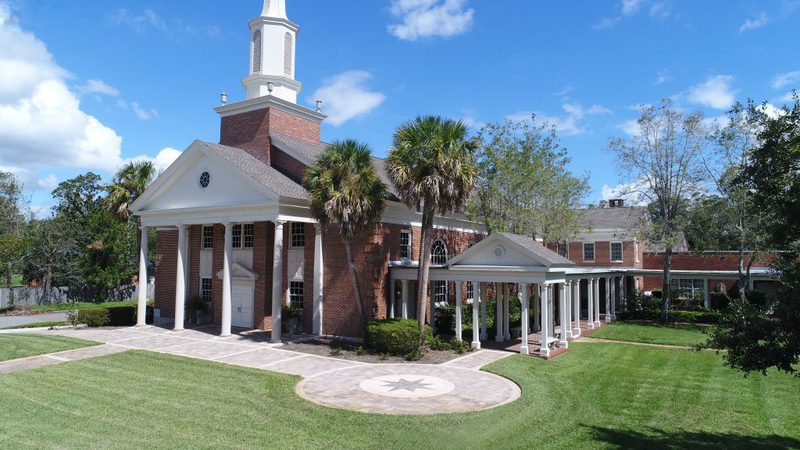 The Presbyterian neighbors of St. Johns Park organized a Sunday afternoon Sunday school. The Springfield Presbyterian Church, no longer in existence, helped to establish our new congregation. There was such enthusiastic support, that in less than a year, the property at Melrose and Fair Streets was acquired, and it soon became the St. Johns Park Chapel. Seventy-eight members went on the rolls as charter members on June 16, 1929. St. Johns continues to offer a vital ministry for Riverside, Ortega, Avondale, and beyond. We offer two distinctly different worship services on Sundays. Our 9am service is traditional with classic Christian hymns and time-honored corporate prayers. We also have contemporary worship at 11am that begins with popular Christian music. A scripturally-based sermon is an important part of both worship services. A Children’s service is included at the 11am hour. Children gather in the sanctuary for worship with their families, and then transition to a children’s service in the Fellowship Hall. We hope you’ll pay us a visit!